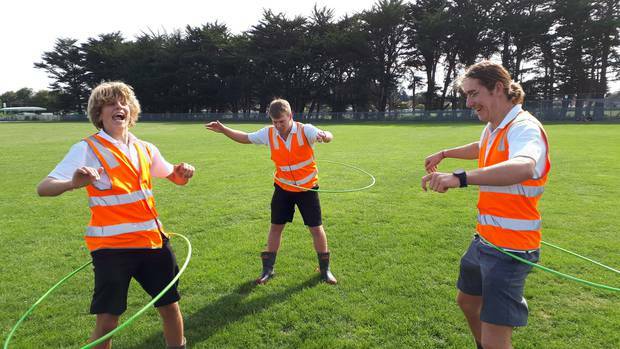 Whanganui High School prefects Cameron Russell, Thomas Friedel and Jack Clifton (all 17) have a bit of fun with the hula hoops in-between obstacle course races. It's a sunny Friday, students are walking around the Whanganui High School grounds wearing black jackets, white shirts, grey shorts and ... gumboots? 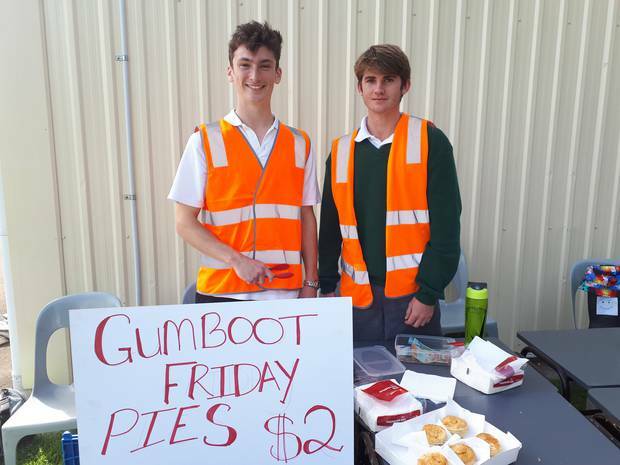 There are red bands, blue bands, no bands, zip-up and tie-up gumboots being worn by boys, girls and staff as part of Gumboot Friday. The prefects were tasked by deputy principal Jenny Langrish with organising events for the day and one of those involved was Whanganui High School head boy Ethan Cohen. Ethan said he was keen to help out because it was all for a good cause. "We have a fun obstacle course that anyone can take part in. Students have to put on some big gumboots and push through it," Ethan said. "The big gumboots are because you might get weighed down when you have depression, so it's kind of just simulating that and how heavy it can be to move through it." Students taking part had to leap hay bales, run through hoops and at the end they could join a good old-fashioned gumboot throwing competition. Gumboot Friday is an initiative of I Am Hope which is backed by New Zealander of the Year Mike King's Key to Life Charitable Trust. 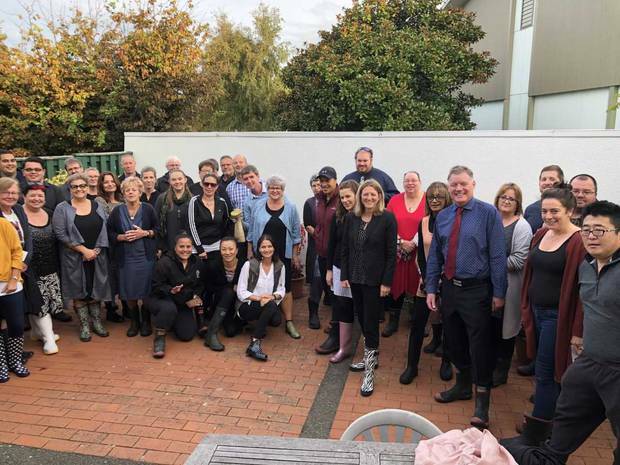 Kiwibank started a Gumboot Up NZ campaign with I Am Hope on Facebook and it went viral with users adding a specialised frame to their profile pictures. Kiwibank donated $1 to the Gumboot Friday account for every frame added and hit their $50,000 target within five days, so doubling it by contributing an extra $50,000. Whanganui High School students donated by bringing a gold coin to school or by buying a $2 pie on the day. The money raised will provide free counselling for Kiwi kids eligible to attend primary, intermediate or secondary school, including those who have been expelled or suspended. "It's definitely a good cause, sometimes kids need counselling and for it to be free makes it more available to everyone because not everyone can afford counselling," Ethan said. "It is important and it helps kids get through tough times."